This month, I’m heading to Gen Con to be part of the Writer’s Symposium! For those who don’t know, Gen Con is an enormous convention focused on gaming–mostly of the tabletop sort (boards, cards, dice, etc. ), but including programming on e-games, LARPing, and, of course, roleplaying. I’ve been a lifelong gamer, whether logging countless hours on various MMOs over the years or joining friends for late-night boardgame sessions on a monthly basis. During this time, I’ve come across hundreds of games of all shapes, sizes, and gameplay styles. Some I’ve loved. Some I’ve hated. Some I’ve gone out of my way to add to my personal collection. Seeing as I’m gearing up for a heavy gaming, writing, and game-writing experience, my posts this month will each focus on a particular game that I count in my top handful of favorites. Maybe you’ve heard of some of them, but perhaps you’ll discover a new one that will delight you as much as it has me. 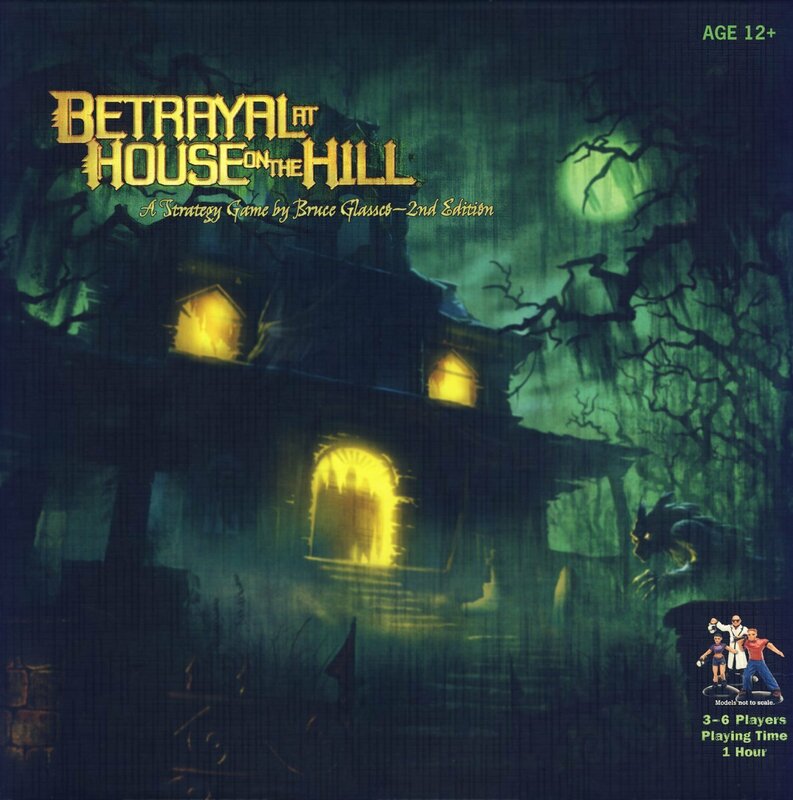 So let’s start with…Betrayal at House on the Hill! In BAHOTH (because I am sure not typing that out every single time), you are one member of a Scooby gang that has, for whatever reason, decided to explore a spooky house on the aforementioned grim and foreboding hill. Each character has a variety of stats, including Sanity, Strength, Speed, and the like, which affects their ability to to perform certain actions throughout the game. These stats are also increased or decreased by in-game events and encounters, with your character dying should any stat ever reach zero. You begin the game in the main hall, and take turns exploring new rooms, laying out a random room tile each time you move into one–thus building an entirely unique house layout with each game. Rooms will offer up encounters, items, omens, and other collectibles, all of which can affect your character and the outcome of the entire game. At some point, as you explore, you’ll trigger “The Haunt,” where one of the players becomes the Traitor while the rest become Survivors. 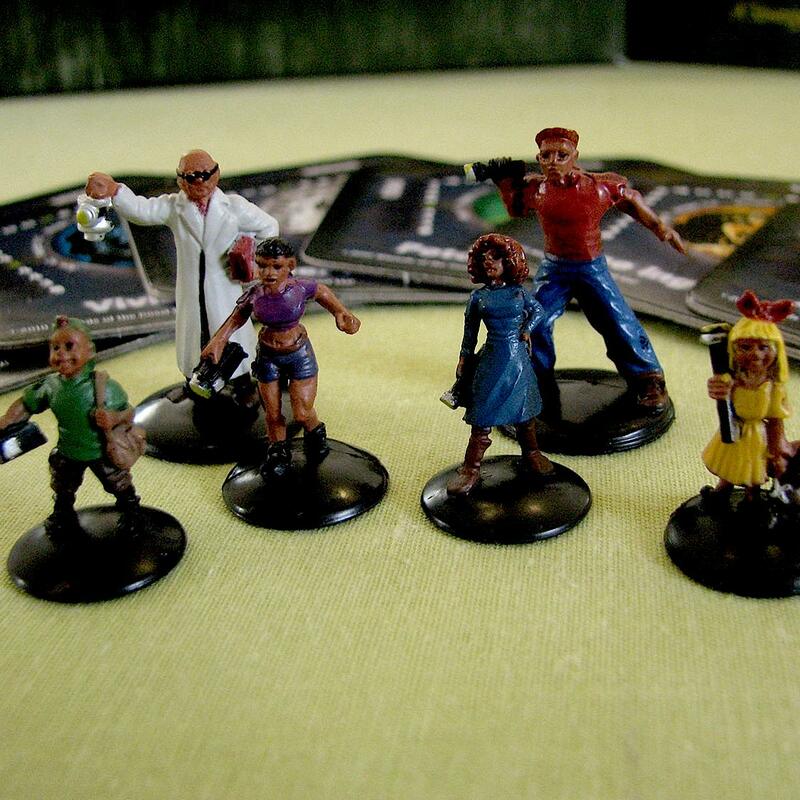 Depending on the specific circumstances, the scenario and “Win” conditions can be one of 50+ situations, ranging from demonic possession to games of chess with Death to alien viruses to even weirder situations. The thing I love most about BAHOTH is the sheer variety the game offers. I’ve never played the same scenario twice so far, and you never know which player will turn out to be the main opponent until it happens. You’ll have different items each game, different abilities, different layouts, different goals, and different threats. It’s so much fun to discover exactly what you’re up against when the Haunt occurs, and to see just how doomed you might be. Plus, the Traitor gets their own set of unique powers and goals which are not revealed, so you have to discover what they’re capable of and gunning for as you go. I’ve played sessions that lasted less than a half hour and ones that ran over 2 hours. I’ve played as the Traitor and as a Survivor. I’ve survived. I’ve died (many times). And I’ve been the person to clinch victory on the rare occasion. And this is all without bringing in the new(ish) Widow’s Walk expansion, which adds even more potential scenarios and gameplay dynamics. I’ll also mention that the game has a strong dark sense of humor that makes it appeal to me even more. So if you want a game that can be both familiar and yet utterly unique every time you set it up, give Betrayal at House on the Hill a good hard look. With its popularity, though, my guess is it may already be part of your collection! Have you played BAHOTH? What was your favorite scenario so far? What was the most ridiculous? Next Post Subscribe to win some free dungeon treasure! You’ll love it when you finally get the chance.